If you’re looking to equip yourself with fundamental storage and/or waterproof sacks for all manner of adventures, the Backpackers Kit gives you three storage options in one convenient package. 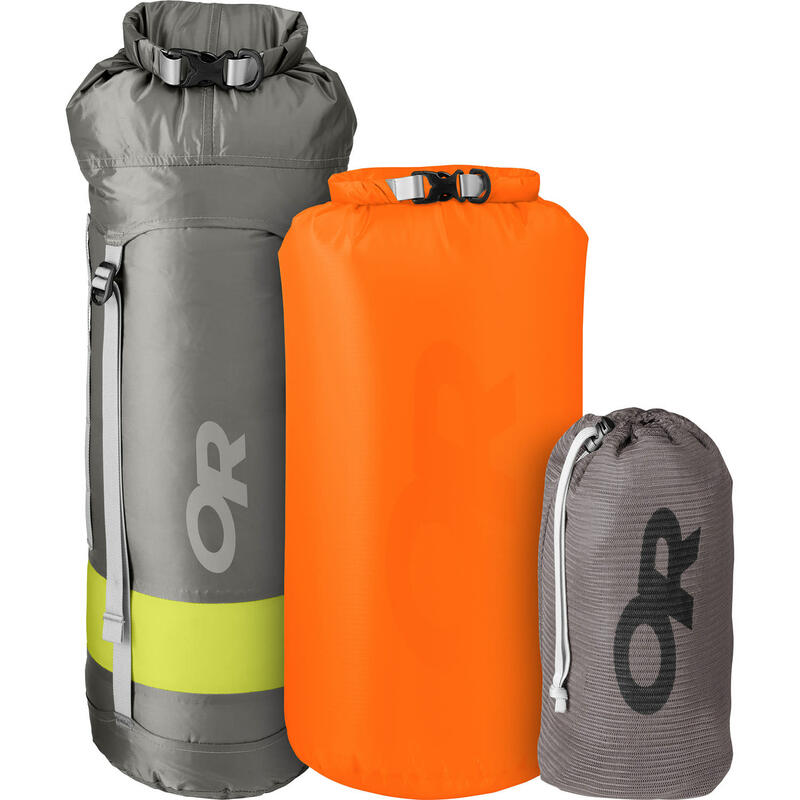 Choose between the Dry Down or Dry Synthetic kits to protect weather-sensitive insulation. Choose wisely, grasshopper.